After the Bureau of Land Reclamation decreased flows on the South Fork last week, we have started to see some better fishing days. With warmer temperatures forcasted, fishing should only get bettter. 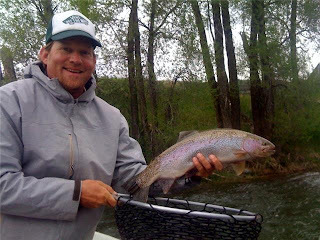 Check out this pig rainbow from WCA Guide Trevor Wine yesterday on the Upper South Fork. 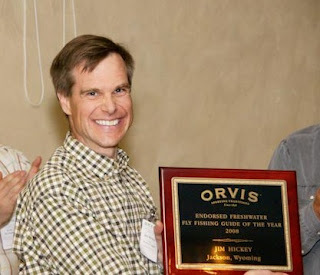 Jim Hickey, Orvis Guide of the Year!!! Once a year, the Orvis Company hosts all the Western Orvis endorsed Guides together for an event to display new Orvis product, consult and educate outfitters, and distinguish those who excel in the fly fishing industry. We are extactic to announce that WorldCast Anglers' own Jim Hickey was recognized and awarded the highest achievement, the Orvis Guide of the Year!! 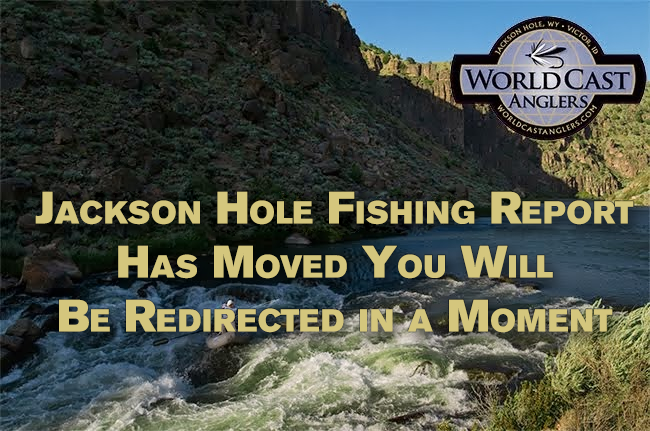 To be recognized as the best guide in the most competitive guiding market in the Western United States as well as the hundreds of thousands of guides in the world is truly an incredible achievement. Jim, we thank you for all your hard work and wish you the best in 2009! Congratulations!! !